From secret garden to forest. 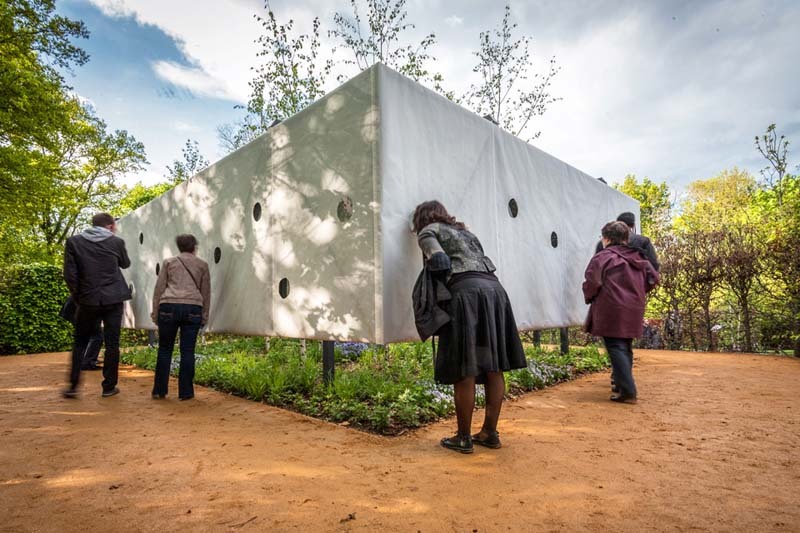 That’s what architects Meir Lobaton Corona and Ulli Heckman have done with their installation Outside-in at the 22nd International Garden Festival in Chaumont Sur Loire, France. 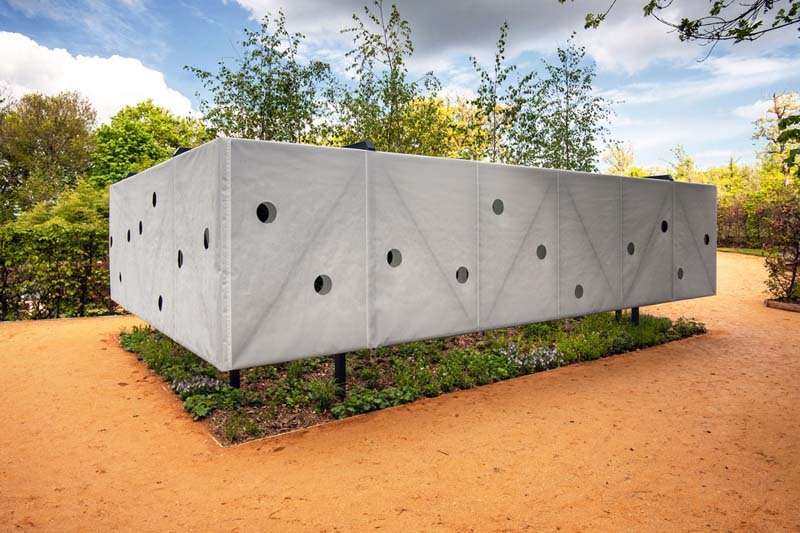 A white box that seems to float in mid air with circular peep holes on each of its 5 x 8 cubic meter volume, sits in the center of a garden. Upon looking in, visitors are greeted by an inaccessible garden which, with the use of mirrors, looks more like an unending forest. The architects refer to the installation as “a meditation about space, light and the possibility of infinity.” What you see, is not what you always get.